Abdon and Heath Parish consists of 7 settlements: Abdon, Balaams Heath, Baucott, Brookhampton, Heath, Holdgate and Tugford. 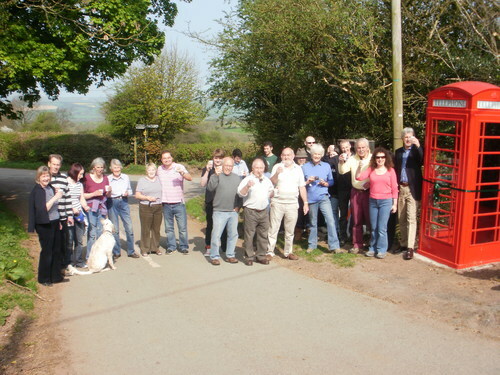 We are situated between the Brown Clee Hill and the Corvedale in South Shropshire. Ordnance Survey map 138 showing the settlements in Abdon and Heath Parish is attached below. Although we are sparsely populated, Abdon and Heath Parish is a very friendly community in which to live. There are many events and social activities taking place throughout the year, and we always make time to stop for a chat with neighbours and visitors. Visit our News and Events page for more details. Our Village Hall is located in Abdon. Regular events - everyone welcome! Coffee and cake morning - last Saturday each month in Abdon Village Hall 10.30am to 12.30pm, except for December. Meditation evening - every Tuesday evening in Abdon Village Hall. Contact Brown Clee Surgery for details. Sewing club - Wednesday afternoons at various locations in Abdon. Flower club - first Monday evening each month (March to December) in Abdon Village Hall. Parish Council meetings - last Thursday in January, April, July and October in Abdon Village Hall. Skittles - various dates and locations. Wildlife Group - meets monthly in various locations. Women's Institute - second Wednesday each month at Clee St.Margaret Village Hall. Welcome to Abdon and Heath!